The Foyer Notre Dame de la Nativite in Haiti has recently been the center of sexual abuse allegations. Ten U.S. Senators are pressuring the Haitian government into closing down the orphanage. Many children have tested positive for the sexually transmitted infection chlamydia and claim to have been victims of abuse. The director of the orphanage denies the claims and states that the children could have contracted the disease from their birth mothers or off of the premises. The Senate letter urges immediate shut down and relocation of children so that they are kept safe. 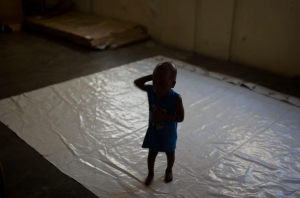 MIAMI — Ten members of the U.S. Senate have asked the State Department to pressure the Haitian government into closing an orphanage where several children being adopted by American families have been victims of alleged sexual abuse.The letter said “multiple” children at the Foyer Notre Dame de la Nativite orphanage on the outskirts of Port-au-Prince tested positive for the sexually transmitted infection chlamydia and reported that they had been victims of abuse.“While Haiti’s social services agency has had an ongoing investigation into the orphanage for more than a year, nothing has been done to stop the abuse,” said the Jan. 29 letter, addressed to Deputy Secretary of State John J. Sullivan.Orphanage Director Eveline Louis-Jacques said Friday that several children in her care had tested positive for chlamydia but said it hasn’t been confirmed that they contracted the infection while at the home and she vehemently denied any abuse has occurred there.